Super Mickey Mouse fire truck! Seat Mickey in the middle of the car, and thanks to the new technology IMT launch lights and siren sounds. 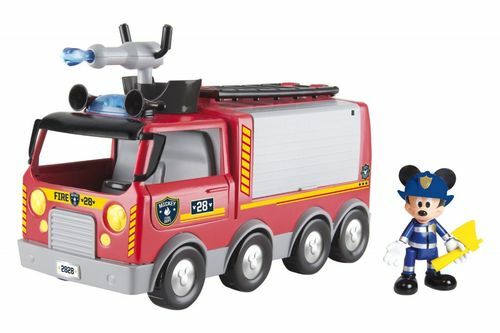 The set includes a figurine of Mickey Mouse Fireman and accessories.